A well operated by Anadarko Minerals Inc. spilled a "substantial" amount of oil in the central region of the Fort Peck Reservation in northeast Montana, according to local media. 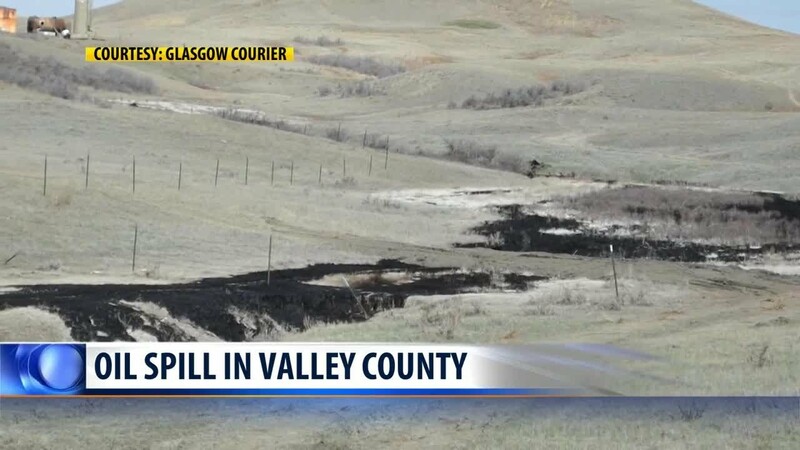 An estimated 600 barrels of oil and 90,000 barrels of brine (production water) leaked from the well, the Glasgow Courier reported, citing officials with the reservation's Office of Environmental Protection and the Bureau of Land Management. The spill was first discovered by a farmer doing a flyover in the area. The farmer immediately notified Valley County authorities about the incident. According to a press release received by MTN News, the spill was reported to the reservation's Office of Environmental Protection on April 27. The exact date that the leak occurred is not yet clear. The well was shut in late December. Fort Peck Reservation, which lies north of the Missouri River, is home to members of the Sioux and Assiniboine nations. Members adamantly oppose the proposed Keystone XL (KXL) pipeline and its potential to endanger their water supply. The press release states that the spill further reinforces tribal officials' opposition to the KXL and pipeline development on or near the reservation. Oil and brine from the leak has now traveled roughly 200 yards downhill to a stock pond used by tribal entities to water livestock. The extent of the pond's contamination is not yet determined, the press release continued. According to initial assessments, about three to six inches of oil currently sit on top of the water. Jestin Dupree, a Fort Peck Tribal council member, detailed in a Facebook post Wednesday: "In order to get this pond cleaned up there are certain levels of contamination that are allowable but we are looking at the possibility of draining the pond for a proper clean up and the Tribal Chairman felt the same way. In some places in this pond the water is about 13 feet deep." "THIS IS CONSIDERED A LARGE SPILL as there are 100,000 gallons of salt water, 27,000-30,000 gallons of oil which equates to 600 barrels of oil," he added. According to MTN News, Anadarko has developed a clean up plan with oversight from tribal officials, the Bureau of Indian Affairs, the Bureau of Land Management and the U.S. Environmental Protection Agency. Dupree noted on Facebook that by Friday the oil company will have a dollar amount for the cost of clean up. Floyd Azure, chairman of the Fort Peck Tribes, was quoted by MTN News as saying that the incident is further indication of the detrimental effects oil production on the environment and is yet another threat to the reservation's water quality. After their initial report was published, the Glasgow Courier posted on their Facebook page: "Fort Peck Tribes have asked that people avoid the area of the oil spill so as not to impede clean up efforts." EcoWatch has contacted the reservation and will update with any new information.